Times and days are being booked up fast. Thinking of having a party on wheels? 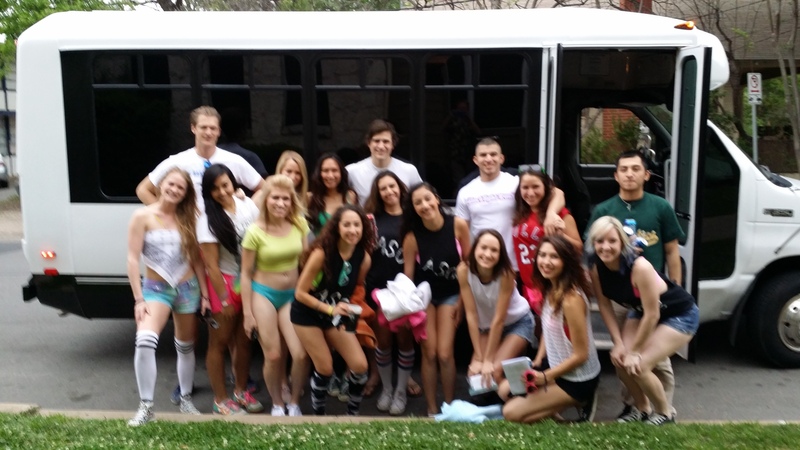 Then Austin Party Shuttle is the bus for you. If you are planning a fun time in Austin or the surrounding areas, in the coming months please consider Austin Party Shuttle. If that sounds like a good idea to you I would suggest making plans in advance. So far it’s been busy with the nicer weather we are having. Give us a call and let us drive you to and from your destination, you can party all day long or just go for a short trip downtown or out to the Lake. Hopefully we’ll get a lot more rain. Get your trip booked.